If you are a regular to my blog then you will know that last year Liam asked me to marry him, of course I said yes. Ever since then I have been thinking about how our day will be, who to invite, what food we want and most importantly.....the cake! I know what colour scheme we are going to have and I know what style of wedding dress I would like and bridesmaid dresses. I really love the Morilee Kali dress from the 2018 collection, it is a ballgown style with a halterneck with beautiful beaded and embroider detail on the bodice but for me it's the skirt that makes it stand out. There are layers of ruffled/wavy organza which look so beautiful and pretty close to the layered up princess dresses. I would like my bridesmaid in something that they will feel comfortable in but that also compliments the wedding dress maybe one that is shorter in length rather than a full floor dress. I plan on keeping my bridesmaid happy so will take their views on board. I don't want to plan what the men are wearing as it is as much Liam's day as it is mine and as long as he sticks to the colour scheme I'm happy. We have been looking at wedding venues which we have found a little tricky because we don't really know many places other than places where we have already been to for someone else's wedding. We took to the internet and found so many places near to us that we didn't even know existed, my favourite was a mansion that you could have sole use of including a spa and all the guest rooms. Unfortunately it's way out of budget, unless I win the lottery. We have already spoken about the type of venue we would like, we want a venue that can hold both the ceremony, wedding breakfast and the reception. For the reception we want a disco and have already got a long list of the song's that must be played. 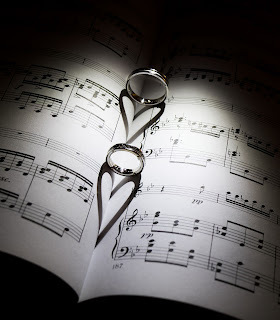 We are also thinking of adding a song request slip to the invitation, this is because we have been to wedding's and the music wasn't that great and it took a while for anyone to get up and dance. I think it is hard to plan all the smaller details like decor and menu's until you have set a date and picked a venue. 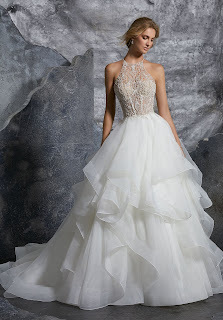 However this does not stop any future bride or groom from looking for idea's and we have started to use a website that pretty much has it all, including my dream dress. Having a look on the website I came across the list of wedding fair's which is great as I could really do with going to a few fair's to find all the little extra's that we possibly haven't thought of. If you don't have any fair's upcoming that are close to you then there is also a section that has a list of suppliers.